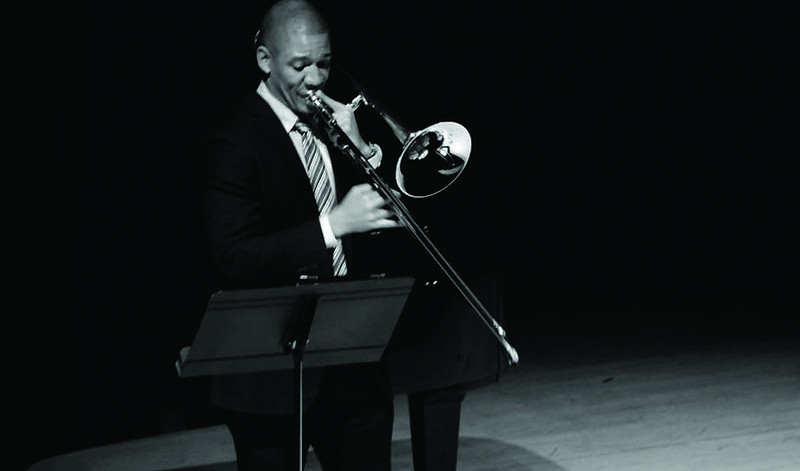 Metropolitan Opera trombonist Weston Sprott has a distinguished orchestral, chamber, and solo career. A dedicated teacher, Sprott currently heads the brass department at Mannes College and holds faculty positions at numerous other schools, in addition to collaborating with organizations like Play On Philly and Music Kitchen. He is on the Bronx Arts Ensemble’s Artistic Advisory Board and is an active advisor for diversity and inclusion efforts in classical music. For this program, he brings his Baroque sackbut and joins BAE musicians cellist Eliana Mendoza and violinist Monica Davis, in addition to violinist Adda Kridler and harpsichordist Stephen Rapp. The performance is followed by informal discussion and refreshments. In keeping with the season-long focus on Mexican music, the Baroque pieces are preceded by “Petite suite dans le style ancien” by Manuel Ponce,Mexico’s first internationally-known composer. With masterful counterpoint, Ponce imitates Baroque style. The first trombone sonata is by Johann Ernst Galliard, the son of a wig-maker, who composed for courts in Denmark and England. Heinrich Ignaz Franz von Biber, who was a violinist as well as composer, is known for having stretched the possibilities of the instrument, while Bertali contributed sacred music, sonatas, and opera to the Viennese Imperial Court. The concert closes with the Serenade for string trio in C Major by Ernst von Dohnányi, one of his first pieces of chamber music. The thrilling work pays homage to the few great classical string trios, but also dives deeply into modernistic harmonies.